Our brain and gut have to communicate with each other in order for our bodies to function at an optimal level. When our mind is not in a healthy mental state, our diets are usually effected negatively. And when our diet and gut aren’t happy, our mental and mood can change drastically. 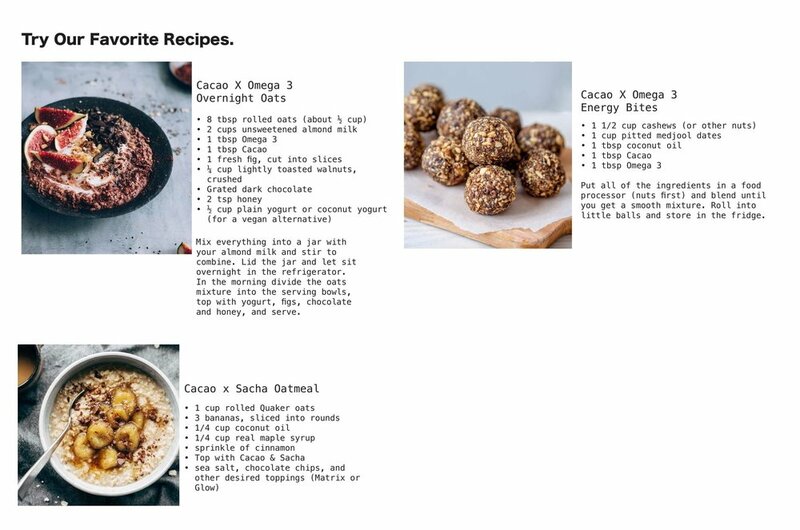 The Cacao blend is powered to be a potent rejuvenator while providing a complete protein source, natural chlorophyl, b-12 and over 10x the vitamin C content of oranges. It combats oxidative stress while protecting both brains; our gut and our cerebral system. Make our Cacao your new daily grinder. Mix 2 scoops (28g) with your favorite water, smoothie, yogurt, juice, overnight oats etc. Delicious! 1 - 3 times daily max.